When it comes to getting natural light into your home, who doesn’t love a good skylight? Compared to glass ceilings, they’re a cost effective way to get light penetrating all through your home. What’s more, as a permanent fixture, they can even help increase the price of your home. However, because they require construction, getting skylights installed isn’t a quick DIY job, and there are some considerations you’ll need to make. Here we run through everything you’ll need to know to get the skylights of your dreams. Luckily, because of permitted development rights, you won’t require planning permission to install skylights. If you’re home isn’t covered by permitted development rights, you may still be able to install skylights, but will have to consult your local authority. Because you’ll be altering your roof, you’ll generally need to prove you’ve followed building regulations in order to install skylights. In order to show you’re within the UK’s building regulations, you’ll need to get approval from your local authority. This you can either do yourself, or you can hire a professional - like Resi - to act as your agent. Where you place your skylights is going to be one of your biggest considerations, and one you’ve probably already daydreamed about. Many people who opt to add skylights to their bedroom want to install them over their bed. While this can be picturesque, think about how to stop the light from waking you prematurely, and how a blackout blind will affect the overall look. 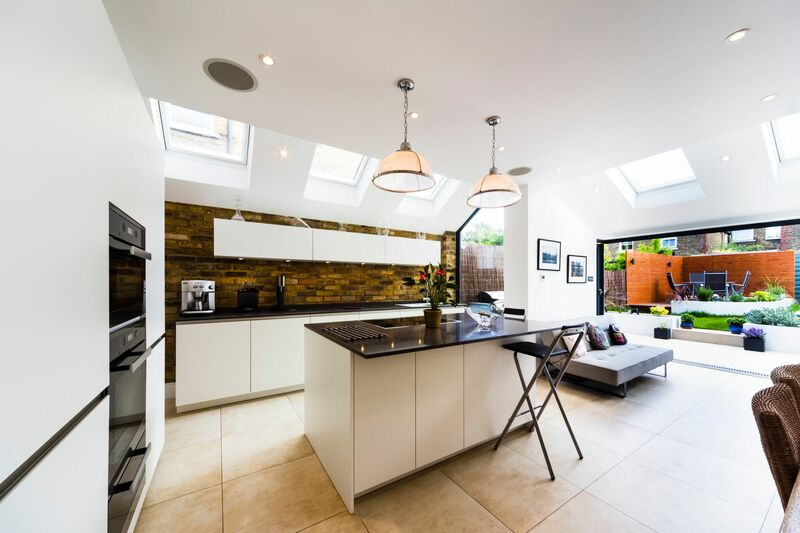 If adding skylights to your kitchen, think about which areas use the most light. Perhaps you have a dark corner, or a worktop you’re using throughout the day. Adding skylights over practical areas can help cut bills, as you rely less on artificial light. Remember that sunlight will damage your furniture overtime, fading any expensive fabrics. Therefore, it’s worth keeping your new skylights away from expensive living room furniture, or looking into UV protective glazing. When it comes to skylight styles, there are many to choose from. You even have the option to get some custom made for your home - though this will cost more. One of the most important factors that you’ll need to consider is your glazing. What kind of glass will you invest in? And how will this affect your home? It’s often tempting to keep costs to a minimum when improving your home, but investing in quality glazing is something you won’t regret. Cheap glass can create a greenhouse effect in your home, meaning you’re too hot in Summer and too cold in Winter. Not only will this make you uncomfortable, in those colder months, you’ll potentially see a spike in your energy bills, as you try to compensate for this heat loss. At minimum, consider investing in double glazing, to help you when the weather turns cold. To help in Summer, consider solar control smart glass. This will allow light to pass through, but stops the heating from following. In order to gauge how much heat you’ll lose through your glass, look into the U-values. The higher your glazing U-values, the more heat it’ll let escape from your home.